The Summer 2018 edition of Cuisine et Vins de France, a very appealing French cooking magazine. 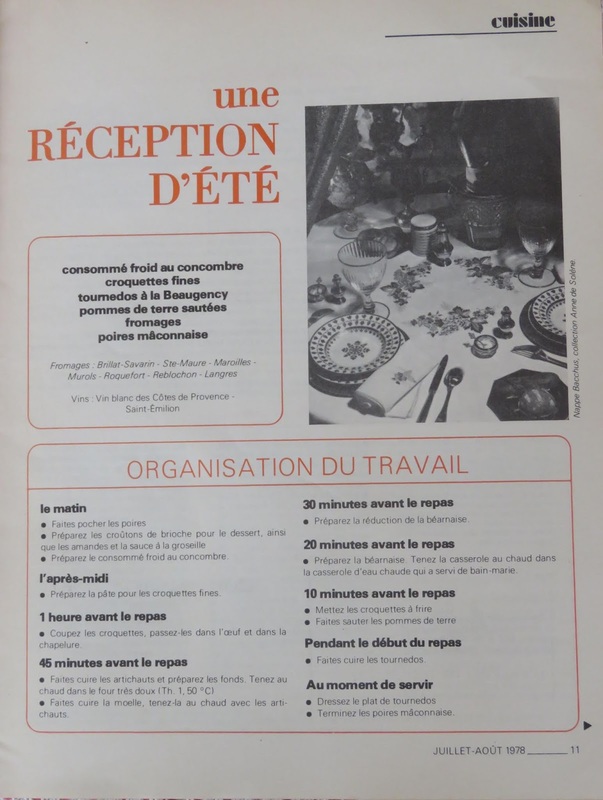 From a current issue: "La vraie recette de la salade césar." 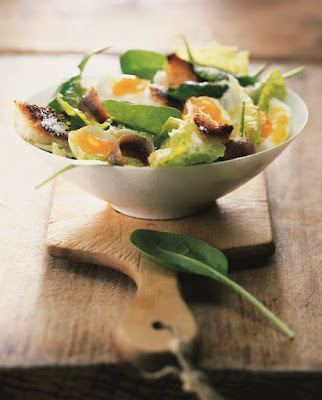 "The authentic recipe for césar salad." 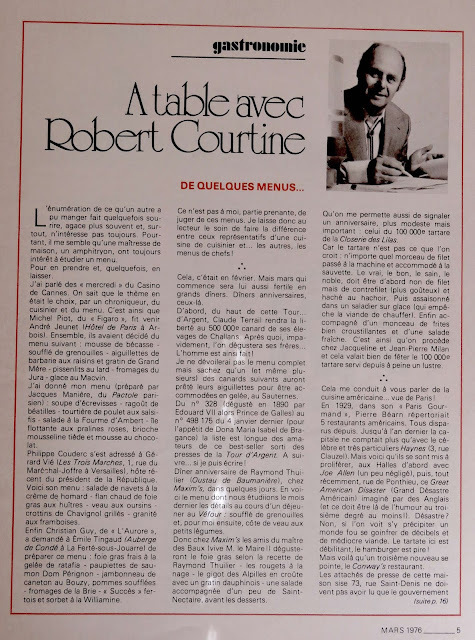 I have loved Cusine et Vins de France for many years. I discovered the magazine during one of our long stays in Paris in 1976, and I subscribed a few times in the 1970s and 1990. Founded in 1927, the magazine has a long history and included various well-known writers' work, including that of American cookbook author Richard Olney who wrote a column in the 1960s. 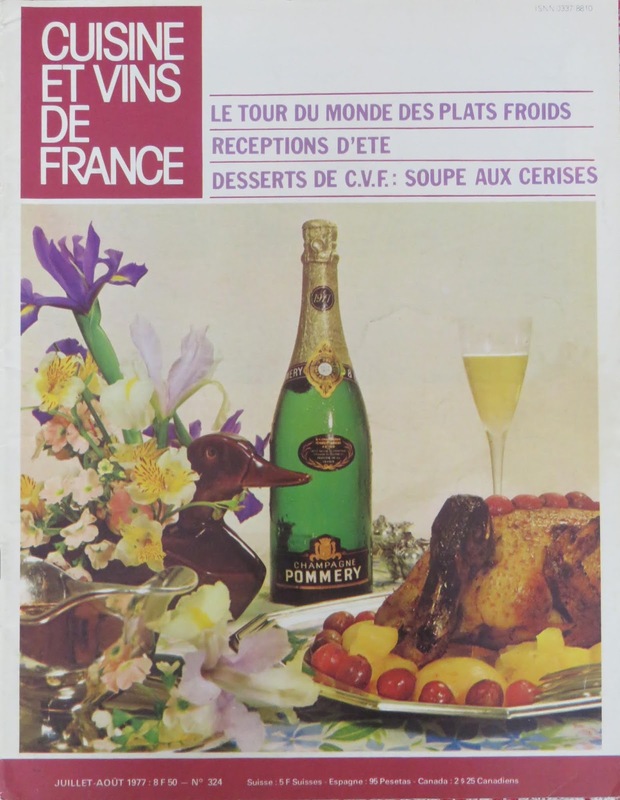 Current issues of CVF include many American foods, which are evidently popular in France. For summer, they include lots of fruit, especially apricots. Also: many pizza recipes, French classics like clafoutis, and lots of desserts. 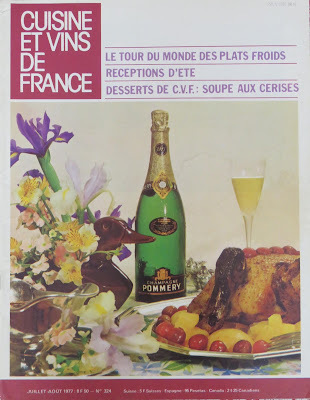 Later this week, I hope to try some of the recipes from either an old or a new issue of the magazine, and I'll post my results! I thought I had recycled all my old cooking magazines, but last year when I cleaned the attic, I found one box that had survived. Here are some CVF covers and sample pages from this little hoard of magazines. 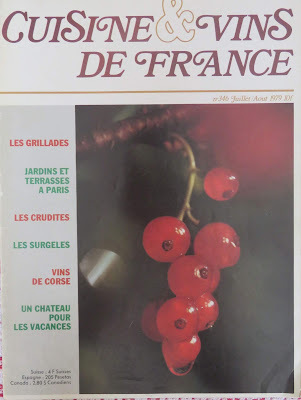 I selected summer issues for most of these photos, to illustrate the foods and wines that they suggested for summer dining. The first issue I ever bought: March, 1976. A sample menu for a summer dinner party, including recipes and tips for organizing. In the 1970s, the interior of the magazine didn't have color photos. Now it does. page which suggests that I once followed this recipe. I'm sharing this post with the summer blogging event called "Paris in July" hosted at the blog Thyme for Tea HERE. Around 30 bloggers from around the world have been reading novels set in Paris or other parts of France, finding photos from their past trips and arranging them in interesting ways, cooking French food, looking up French art work, and doing lots of other creative things to share with the group. What a fun attic discovery. This looks like a wonderful magazine -- and I'm betting you can even read it. (I couldn't!) See why we should never throw anything out? We'll have wonderful events like this and wish we'd saved it like you did! I'll be looking out for this - what fun! Have a great week. This is fantastic! What a little treasure to have those issues still to this day. 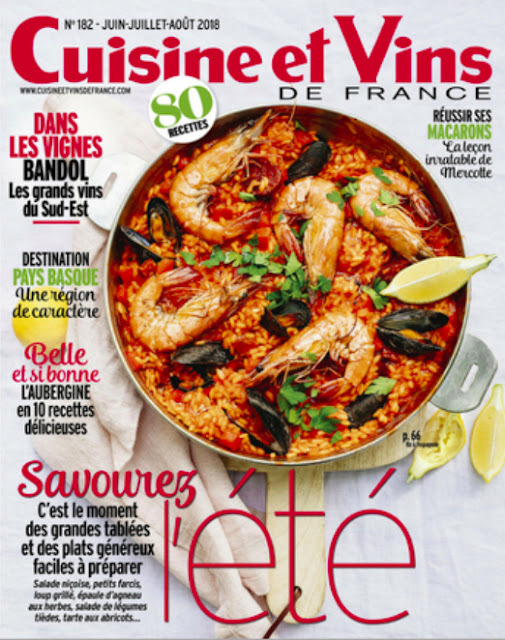 I'm a little addicted to French recipe magazines - and so is my French friend and neighbour, and we always swap and share, ensuring we never run out of ideas. Oooo, I don’t think I could part with that magazine. It’s beautiful. I wish I could speak and read French. "I'm tempted to buy a subscription for this magazine. 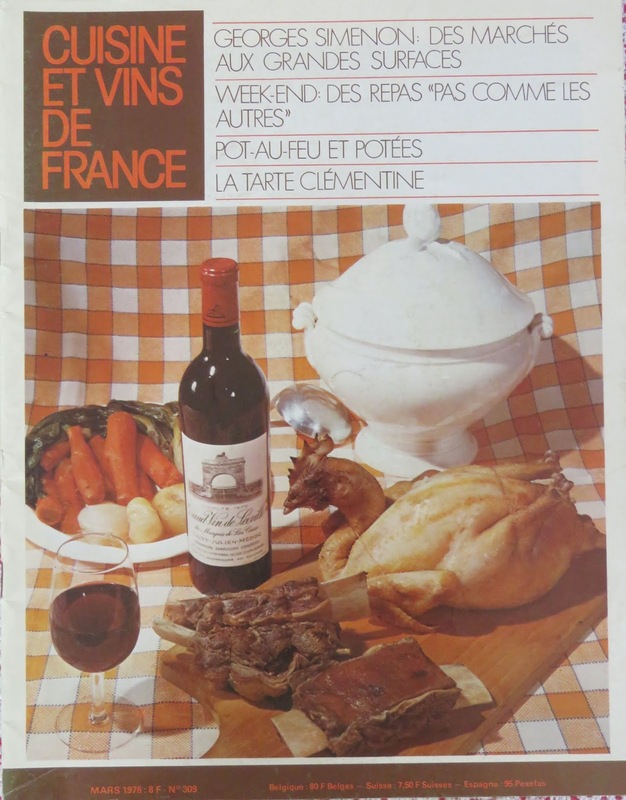 Is it all about cooking or is there a mix with culture and history of French regions?" It's a pretty expensive subscription! I recommend looking online. What fun to discover these treasures again. Oh you've inspired me so much Mae! I've just followed them on FB. Thanks. 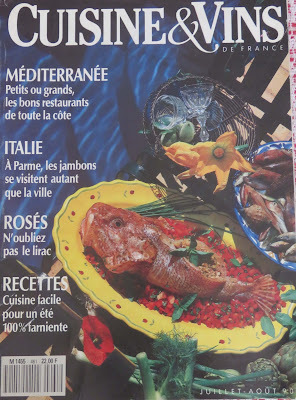 I have my own stack of French cooking magazines that I bought on trips to Paris and I was subscribed for a while. I should dig those out... I've got a few French language recipe books too. I should cook something from those too this month. 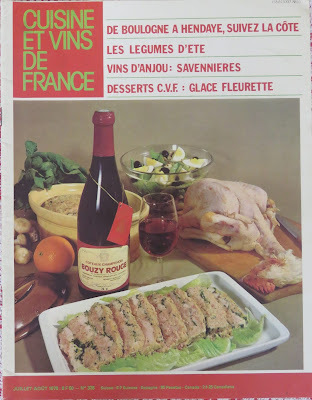 I love cooking from French recipes. I love food magazines! I found a library sale the other day that was selling them for 10 cents each and I bought 30 of them. How fun that you had these in your attic! What a great find. It is interesting to compare covers then and now. I guess it was high tech at the time. Must be interesting to check out which recipes where popular at the time. 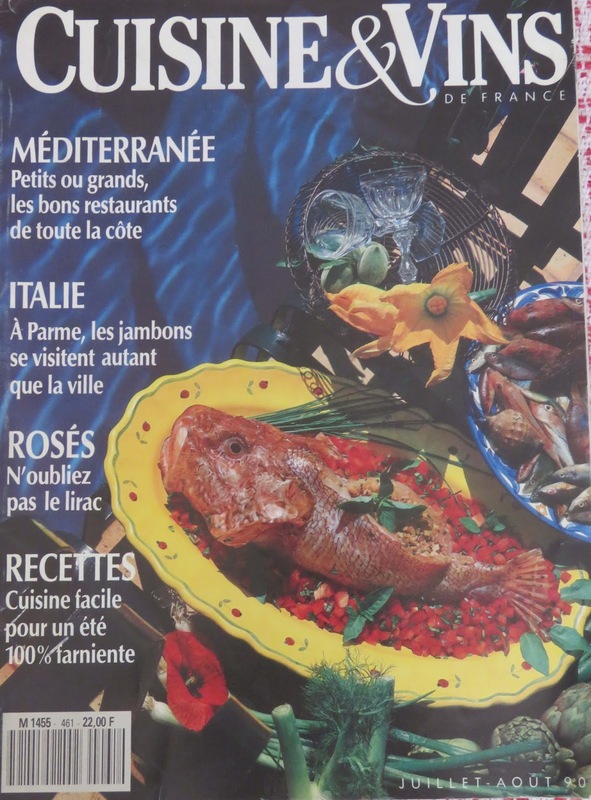 You certainly have had a long lasting love affair with French food - and these magazines look like great inspirations. 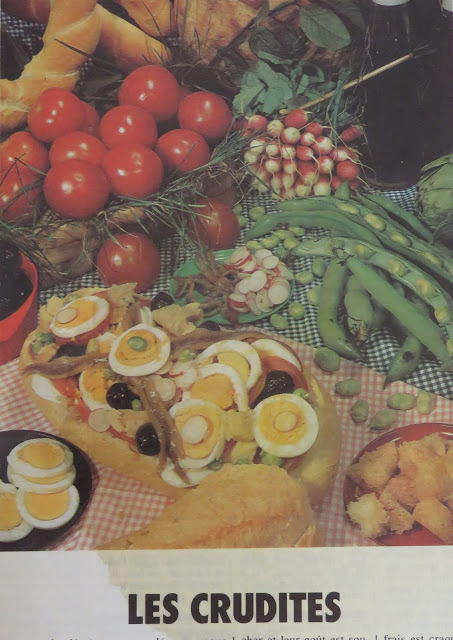 The images remind me of recipe magazines my mum would've collected in the 70s also. She used to try and host dinner parties with different inspirations. Who doesn't love the Beatles?